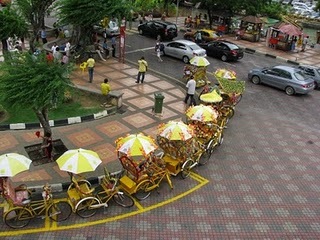 Our writing program student, Dr. Sunita Rajani is on a globe-trotting spree. Ever since she underwent her writing program with us, she’s felt more empowered to jot down her experiences of all her travels across the globe. 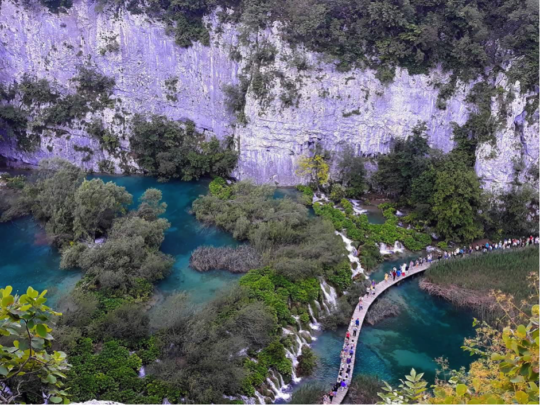 Sharing with you her latest travel story to the pristine and peaceful Croatia. 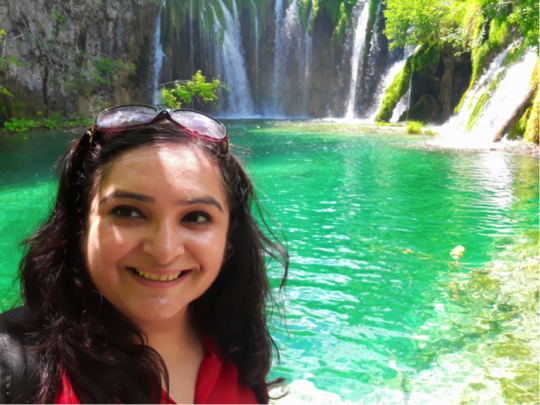 We all have our own bucket list of places to visit, and on my list for a very long time was Plitvice Lakes in Croatia. 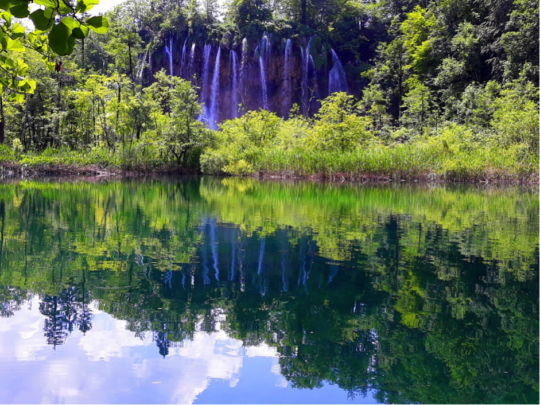 I got a chance to visit Plitvice Lakes in the summer of 2018. My friend Nitisha and I planned an eight-day-long trip to Croatia. We were based in Dubrovnik for four days and Split for the remaining four days. 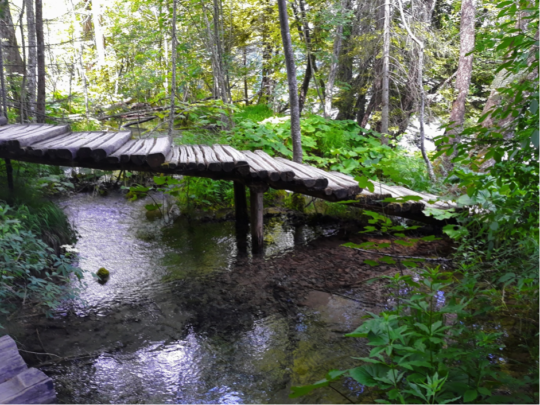 Plitvice is best visited from Split/ Trogir/ Zadar. We booked a day trip through a guide. We left from Split at 7 am, as it is nearly a four-hour journey to the lakes. The drive was through the beautiful countryside with its stunning landscapes. We were carrying ample water to keep us hydrated and carried packed lunch as well. 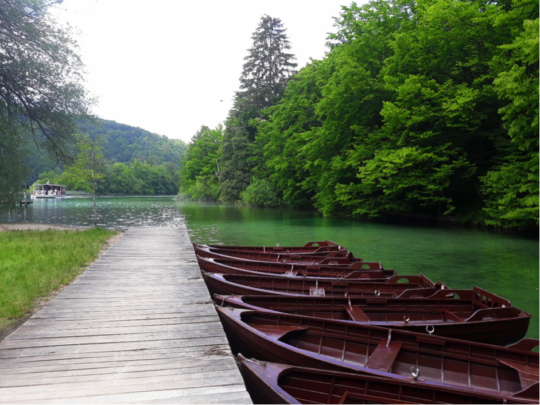 We reached Plitvice National Park around 11 am. Our guide shared a lot of unique facts about the lake. Plitvice is a UNESCO World Heritage site. 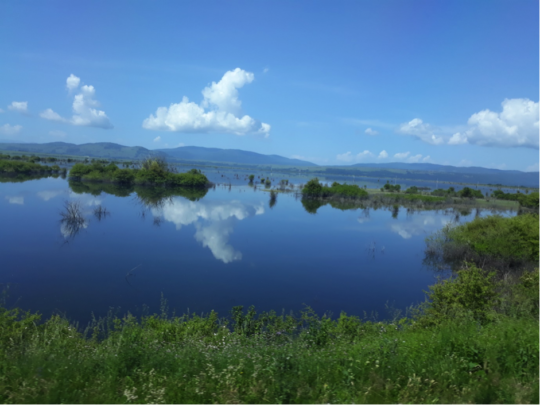 There are a total of 16 lakes divided into upper 12 and lower 4. Lakes lie on altitude between 503 m and 636 m. The path to the lakes is a nice trail walking through woods bridges, lakes, streams and waterfall. We were to start from the lower lakes. We followed our guide through a small trail to reach a point where boats would take us to the lower lakes. That was my first glimpse of the park and it was love at first sight for me. A day trip didn’t seem to do justice to this place. But anyways you are not allowed to stay inside the park which is a very good thing in my opinion, as it helps to maintain the beauty of such a pristine place. The waters were so clear that I was thrilled to see fish swimming in it. We began our trail of lower lakes trying to soak in the beauty of the place. The wooded trails are narrow and in summer it is crowded with many tourists so one has to walk with caution. The beauty of the lakes will leave you absolutely speechless. You have to see it to believe it as to how pristine a place can be. The clouds and mountains were forming shadows on clear waters. After a tour of the lower lakes, we took a lunch break. We had our packed lunch and was time for ice cream. There was little pond near the area designated for lunch which had a bunch of turquoise blue butterflies all around it. We took a bus from here to the upper lakes. The bus journey gives you a nice glimpse of the lower lakes and the trails we just crossed. Upon reaching upper lakes we first crossed a gorge, the views were breathtaking! After seeing the upper lakes, our guide asked if we wanted to walk up till the waterfall and we all agreed. It was about a half an hour of walk. It had been a very nice sunny day so far and out of nowhere it became cloudy and started raining. It went from drizzle to heavy rain in no time. Most of us weren’t carrying any rainwear as it was not predicted, but that’s nature…its got to be unpredictable. We continued our trail trying to save our phones from getting wet. Suddenly I could feel something hard hit me like a stone, I was surprised to see it was hailstone! We braved this weather to walk up to the waterfall to get a glimpse. It was super fun and adventurous and you can only imagine how drenched we were. We spent barely two minutes at the waterfall as it was raining heavily and it had become very cold. We began our journey back to the exit at the meeting point. We finally managed to reach the exit point which was very crowded as people were trying to get some shelter from the bad weather. We had to squeeze through this crowd to get out on the other side to find our bus. It took a while for us to find our bus and as soon as we sat inside the bus we were greeted again by the glorious sunshine as if rain gods had pre-decided to make our journey adventurous. Our driver stopped the bus in a short while for us to have something warm and dry ourselves in the sun after which we headed back to Split. Dr Sunita Rajani is a Paediatrician who is currently pursuing her super specialisation in Paediatric Gastroenterology in London. She is our first student at The Lifestyle Portal Online Writing Program. I am absolutely thrilled to read this. It felt as if I am not reading but watching it on TV. This has a feel in it. I loved it.